If you would like to stay up to date on the IADE enter your email here to subscribe to our newsletter. ▶ What are Botox/Dysport/Xeomin/Myobloc? What is difference between these products? These are trade names for botulinum toxins sold by different pharmaceutical companies. They all, come in the form of a purified protein. All these Botulinum toxin block the neuro-transmitters leaving the motor nerves that are essential to innervate the muscle to contract. Botox, Xeomin and Dysport are all type A Botulinum toxin, while Myobloc is type B. They have little (stops sweating)to no effect on the skin nor do they make the skin numb. Botox is a muscle relaxant that works by stopping nerve signals from reaching the muscles. When muscles under the skin do not contract, wrinkles in the skin above will not form. The lines disappear within 7-10 days. The effects of Botox last for approximately three to four months, at which time the patient needs retreatment. The facial esthetic areas that Botulinum toxins are commonly used for are the forehead, the 11’s between the eyes (glabellar region), and around the corners of the eyes (crow’s feet) and around the lips. They have important clinical uses in patients that have overworked facial muscles causing chronic TMJ and facial pain. They are also used to complement esthetic dentistry cases, as a minimally invasive alternative to surgically treating gummy smile cases, denture patients who have trouble adjusting to new dentures, lip augmentation, and has uses in orthodontic cases where retraining of the facial muscles may be necessary. ▶ What are peri-oral soft tissue (dermal) fillers? Dermal fillers are rarely injected into the skin but rather under the skin. They will add volume to areas that have lost elasticity, muscle, fat, bone and collagen as we age. As the face starts to lack volume, the nasolabial folds deepen, marionette lines form, the chin folds and the lips start to thin. Popular hyaluronic acid fillers such as Restylane and Juvederm as well as other filler materials are then injected extraorally right underneath these folds to”pump up the skin” and replace the volume lost. This re-creates a youthful appearance. These soft tissue fillers can be used for high lip line cases, asymmetrical lips around the mouth, lip augmentation, and completing cosmetic dentistry cases by creating a beautiful, young-looking frame around the teeth. The effect of soft tissue fillers typically last anywhere from 3 to 9 months at which point the procedure needs to be repeated. These procedures can be very painful and should only be performed using injected local anesthesia as well as topical anesthetics. Newer filler materials contain lidocaine powder, a strong anesthetic agent. Dentists are best in providing these treatments because they understand smile esthetics as well as giving skilled and painless intra-oral anesthetics. ▶ Will my malpractice insurance cover these procedures? Although malpractice issues are extremely rare for “temporary” Botox and dermal filler procedures, all healthcare professionals should have malpractice insurance that covers every procedure they perform. Some dental liability insurances like Medpro are now offering riders for these treatments. Other dental liability insurance companies (like TDIC) are not yet set up to cover dentists for Botox and dermal filler procedures. Every dentist should check with their own insurance provider and see what their coverage status is for these treatments. If your insurance carrier is not yet set up to provide this coverage, there are third party add-on malpractice liability insurance carriers that will cover dentists who have been properly trained by the IADE or Dentox for these procedures. However these third party carriers are the most expensive option. Dentox works with some of the major dental liablity insurance companies and our course is accepted as the gold standard. IMPORTANT NOTE: If your current insurer does not cover you for these procedures, then YOU should terminate your coverage before they do and change to a carrier that will cover you. ▶ Does my state dental board allow dentists to perform botox and dermal filler procedures? Your dental board does not regulate individual procedures just as they don't regulate implant, dental esthetic, or prosthodontic procedures. If a dentist is properly trained and competent, they leave it to the dentist's discretion. It is certainly appropriate for dentists to use Botox and dermal fillers for dental uses within the scope of dentistry as defined by your state practice act which most of the time includes but is not limited to treatment of the masseter, temporalis, frontalis, corrugator, procerus, obicularis oris for TMJ and facial pain cases, oral and maxillofacial areas, lip augmentations, and treatment in the lower face. Any areas that a dentist already can treat in the oral and maxillofacial regions, take a biopsy from, and/or inject with local anesthetic would be included in areas that may be treated with Botox and dermal fillers. Please note – we have represented and assisted many dental boards in formulating policy now accepted . ▶ Where can a dentist get training for botox and dermal fillers? Training with the most experienced instructors is key to developing competency and the skill to satisfy your dental state board and third party liability insurance requirements. We have trained thousands of dental and healthcare professionals in Botox and dermal filler therapy longer than anyone else. There is a very short learning curve because dentists are already well trained in injections. What you need to learn is competency in understanding the mechanisms of these materials, reviewing the facial expression muscles, indications, risks and benefits of these treatments, and hands on training in placing these materials and preventing and managing complications. With some practice, you can be well on your way to performing these procedures. ▶ Why the IADE endorses Dentox? Teaching dentists to use injectibles like Botulinum neurotoxins (Botox, Dysport, Xeomin, Myobloc), PRP, lecithin, hyaluronidase and fillers is all Dentox does. Since 2002 when Dr Katz and Dentox developed these treatments and training programs his classes remained the gold standard and the #1 dental training course in Botox and dermal fillers available. Dr Katz has taught more dental professionals and has had more articles about these treatments published in peer reviewed scientific journals than any other dental educators. New treatment protocols for dentistry and facial esthetics are constantly being developed by IADE alumni including Dr Howard Katz. Dr Katz has injected more patients and supervised more dentists injecting their own patients than any other educator in this field. It is from this wealth of experience that treatments are updated for improvement. Dentox does not offer the most frequent hands-on training classes like some of the other copycat courses that are trying to climb on the Botox bandwagon, but may offer the most comprehensive and clinically accurate. Most other courses require multiple sessions and are offering old Dentox methods and protocols as their own without knowing why some of these protocols are no longer used. The IADE will only endorse courses that offers current protocols, teaching methods and legislation for 2012 and 2013. Rather wait a week or two longer for an IADE approved course and avoid disappointment. All Dentox course participants will have the opportunity of practicing on mannequin heads before they inject at least one live patient with Botox and fillers. In addition they will look over the shoulder of other doctors being supervised while they treat their own patients. You will be prepared to begin treating patients on an array of conditions as soon as you get back to your office. Attendees may bring as many live patients as they choose to a Dentox program (by pre-arrangement). Every attendee is given 1 syringe of Botox to use included in the tuition fees. Dentox trains dentists in the real dental uses for Botox and HA (dermal) fillers in addition to the smoothing of facial wrinkles and folds. It is very important for dentists to practice within the scope of dentistry as defined by their state dental boards. Migraine is initiated by aberrant trigeminal nerve function with feedback originating from within the anterior temporalis muscle. The genesis of migraine and TMD can be arrested by limiting and controlling temporalis nerve feedback centers from within the anterior Temporalis muscle. ▶ Why don’t you offer an Advanced Level II Course? Our level Botox and Dermal Filler training course is the most comprehensive training course available. What you have to learn at other advanced courses is covered in our basic yet comprehensive programs. We recommend that you consider taking our class if you have a problem with our Self-Test (click here).We also recommend that you consider our mannequin course if you have not yet injected every facial area. ▶ What is the future of botox and dermal fillers in dentistry? There are currently approximately 17% (and growing fast) of dentists who perform Botox and dermal fillers in North America. Botox and dermal fillers will grow much faster than other areas of dentistry that require large equipment purchases. There is no large investment that needs to be made by dentists other than the disposable materials which is another reason it is so popular. Your only investment should be in the best education to become proficient at delivering Botox and dermal fillers. ▶ Why are botox and dermal fillers becoming so popular with dentists now? Patients must be in good health with no active skin infections in the areas to be treated. Patients with infection, neurological, autoimmune and immunological diseases are not the best candidates. The patient should by healthy and have a clean medical history. The model patient should not be needle phobic. The facial areas that are ideal to treat with Botox are the horizontal forehead lines, the vertical frown lines (11’s) between the eyes when the patient makes the “angry” facial expression, and the “crow’s feet” or smile lines at the corner of the eyes. If your patient has TMJ please inform us so that we bring additional Botox - these patients require at least 100units of Botox. Patients who bruise easily because of medications or other disease processes may not be good candidates. The model patient should not have any important social functions coming up within two weeks of treatment as they may have some swelling and bruising after treatment. Every model patients including spouses and family must sign an informed consent prior to treatment. There will be no exceptions. We reserve the right to refuse treatment to any patient. If you have any additional questions about your patient, please email Dr. Katz at hkatz4@hotmail.com. The facial areas that are ideal to treat with (dermal) fillers are the nasolabial folds (lines from the corner of the mouth to the corner of the nose), marionette lines (lines from the corner of the lips that go down the face toward the jaw line), and downturned corners of the lips. Lip augmentation may also be done on a patient that would like to enhance the fullness of their lips. The model patient should have not have very deep folds. The model patient should not be needle phobic. The model patient should be easy to anesthetize and be able to tolerate local dental anesthesia. Patients must be in good health with no active skin infections in the areas to be treated. Patients with neurological, autoimmune and immunological diseases are not the best candidates as well as people with long term systemic diseases. The patient should by healthy and have a clean medical history. Patients who bruise easily because of medications or other disease processes may not be good candidates. The model patient should not have any important life events coming up within two weeks of treatment. The model patient may have some bruising after treatment. Every model patient must sign an informed consent prior to treatment and there will be no exceptions. ▶ How many continuing education credits are available for this course? Each course day will give the attendees a full 8 AGD PACE or 7.75 AAFP (American Academy of Family Physicians) continuing education credits which is the required amount for liability insurance purposes. Should you require additional credits you may attend another practical session at no additional cost except materials. 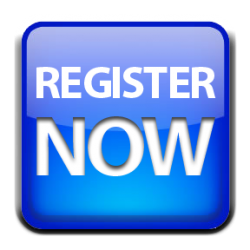 ▶ What is the deadline for registration? Classes are filled on a first-come, first served basis. Most classes fill up well in advance as the class size is limited so every attendee gets plenty of one on one instruction. There is a 10% discount for early sign-ups (more than 45 days in advance) so take advantage of this. Sign up today for training on Botox and dermal fillers to boost your dental practice. Please click here for an application. We hope to see you at a course very soon.